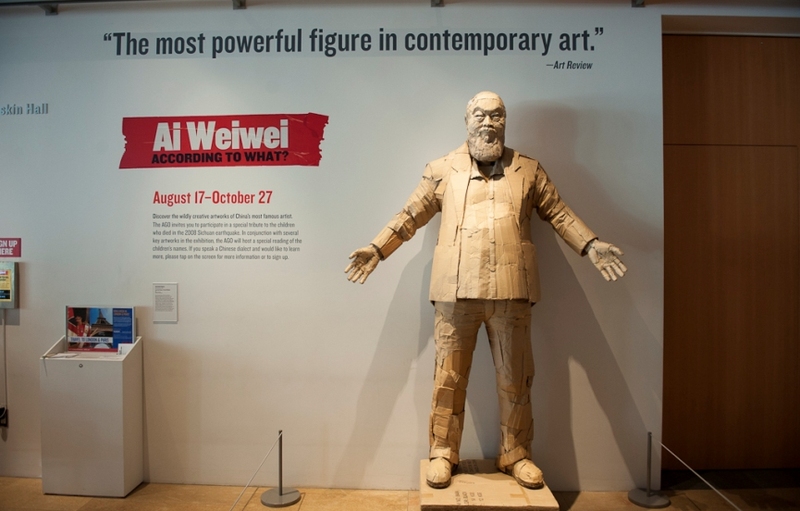 Perhaps the most famous Chinese artist today, Ai Weiwei, became a symbol of fight for freedom. 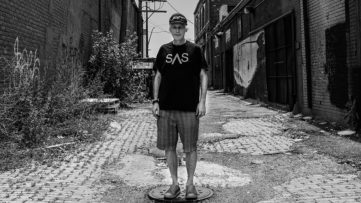 His artistic activity spans over the past several decades, while continuously advocating free speech and being an influential social media activist. His openness and beliefs got the artist multiple problems with the Chinese state and law enforcement and in 2011 he was arrested spending 81 days in prison. The artist was released on bail, while the detention resulted in still ongoing confiscation of Ai Weiwei’s passport by the Chinese authorities. 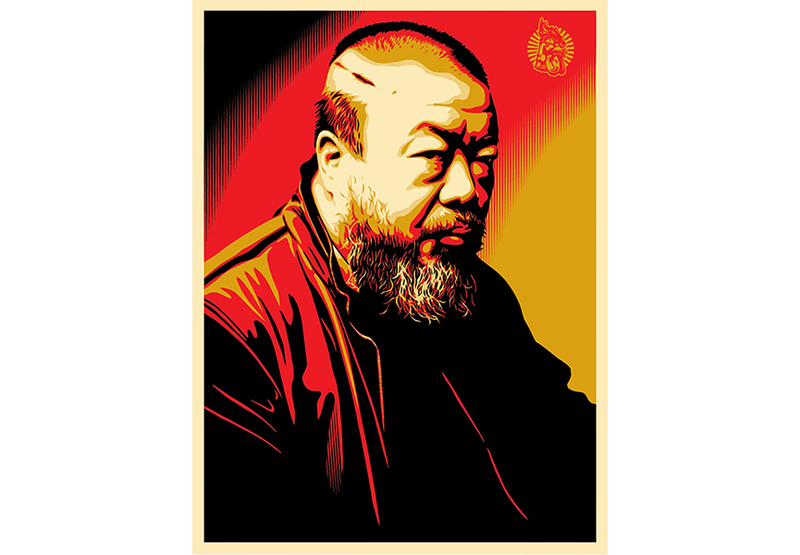 Supportive of his art and his policy, Shepard Fairey published a poster of Ai Weiwei as a tribute to the Chinese artist’s struggle and in support of release of his travel document. Fairey’s image presented Ai Weiwei portrait, an interpretation of the photograph by Gao Yuan from 2010, displaying a prominent scar on the artist’s half-shaven head. The scar was obtained due to a head injury inflicted by the Chinese police in Chengdu in 2010. 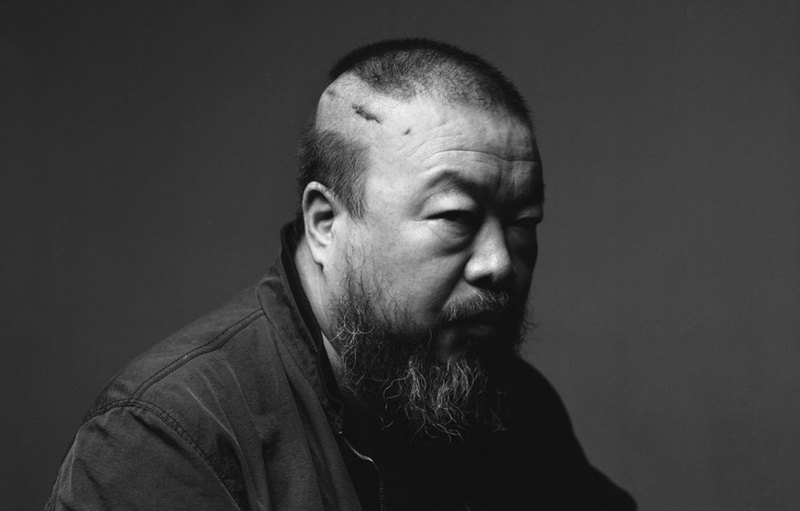 Ai Weiwei required brain surgery because of the wound, leaving an imposing scar. 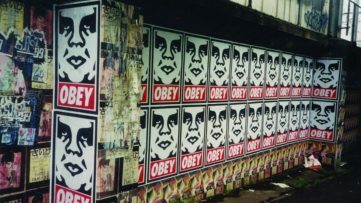 Shepard Fairey displays his admiration and respect for the Chinese artist and his activism, by presenting him as an influential, iconic figure. The palette is pertinent to Fairey’s prints, but the contrast is enhanced to increase the dramatic context, while the use of clear red with yellow evokes the national colors of China. It’s hard to escape the feeling of Ai Weiwei resembling the Last Chinese Emperor of Bertolucci on this print, in this case standing as an emblem to freedom of speech, thought and movement. Explaining his appreciation for Ai Weiwei, Shepard Fairey stated – I admire Ai Weiwei for his art and his activism. His art is beautiful in form, and in function embodies the principles of populism and social consciousness I aspire to in my own practice. This poster is a tribute to Ai Weiwei’s art, his courage to be outspoken, and in support of his ongoing political struggle with the Chinese government. I hope the image will help raise awareness and advance dialogue that might lead to permission for Ai Weiwei to travel freely and continue to express himself. 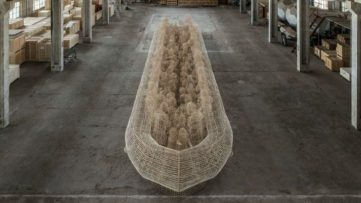 The print was realized in cooperation with Friends of Ai Weiwei, a group of supporters of the artist working towards the release of his passport and raising awareness about his status in his native country. 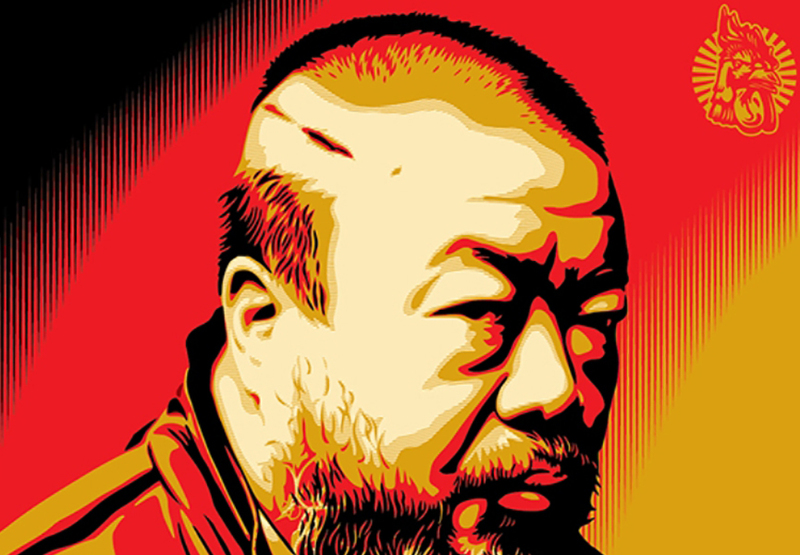 Shepard Fairey poster of Ai Weiwei is released in a limited edition of 375 and 100 copies are to be donated to the Brooklyn Museum, matching the touring retrospective exhibition Ai Weiwei: According to What, coming in April. According to What? 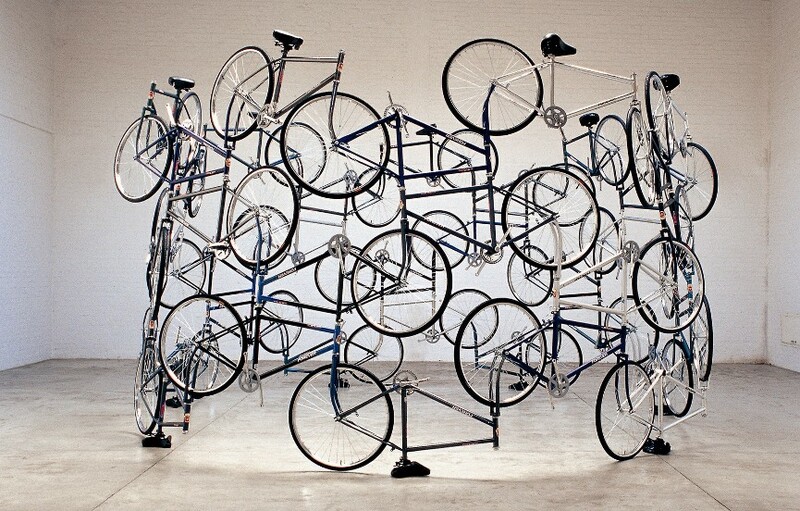 is coming to the Brooklyn Museum on April 18 and it will be on view through August 10, 2014. The large retrospective of Ai Weiwei will present the overview of the Chinese creative’s body of work in a variety of media, from photography, sculpture and architecture to his political activism. The works selected for the exhibition span over the past two decades of his prolific activity. All the works will highlight the questions of freedom of expression and the burning issue of human rights in China and in the world. The exhibition has already been presented in other cities and it is organized by the Mori Art Museum from Tokyo in collaboration with the local institutions and curating teams.